I’ve just been booked for another author’s visit to one of Her Majesty’s Prisons. This will be my fourth talk behind bars – and this time, by request, I’m doing it on vampires, which is a popular subject with the inmates of this particular prison. So the Vampire with Iron Teeth (from Paranormal Glasgow) will be featuring, as well as the Vampire of Croglin Grange (from Paranormal Cumbria, which will be out in 2012) and an alleged vampiric attack in Highland Perthshire, which I covered in The Guide to Mysterious Perthshire. I’ll also be dealing a little bit with the early history of vampires in English literature, noting how the vampire of East European folklore – basically a stupid, smelly peasant – became the suave, sophisticated aristocrat familiar from Dracula and similar fictions. I blame John Polidori (and if you say who? I would in normal circumstances suggest that you attend the talk; but as this would involve committing a serious crime and then getting banged up in the Big House, perhaps this is not a recommended course of action). As you might imagine, you can’t just waltz into a prison. Checks are made, paperwork is processed, and the prisoners themselves have to be available on the day and time specified. 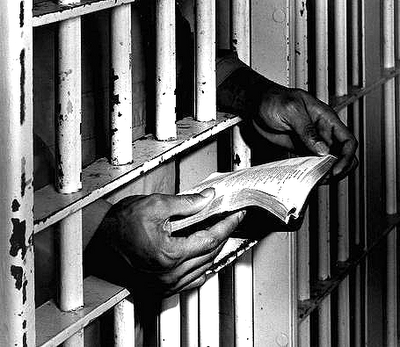 Then you find yourself leaving your mobile with a reception guard and being escorted through a labyrinth of doors and corridors to a room in which sit 25 prisoners, many of whom are avid readers. Usually the prison librarian has circulated my books before the visit, and so as soon as I say “Any questions?” at the end there is a forest of raised hands. This entry was posted in Talks and Events and tagged cumbria, event, glasgow, mysterious, Paranormal, Perthshire, prison, talk on 01/10/2011 by Jamie Cook.